Comapi is a cloud-based omnichannel communication solution which allows users to send, receive, and reply to emails, text messages, web chats, Twitter and Facebook messages, apps, and more. The omnichannel hub enables real-time engagement with conversations from any channel through a single interface. Comapi’s real-time chat functionality supports multiple agents and teams, with customizable roles and permissions to control access, auto-assignment of inbound chats to available agents, and automated message routing to direct conversations to the correct agent or team. Chats can also be transferred between agents with a few clicks. The chat widget can be embedded directly in any website, and customized with different colors and agent images to match company branding. Multi-channel broadcasts can also be created and sent, with the ability to built targeted customer lists using profile information, and stagger the sending of broadcasts to ensure that teams are not overwhelmed with responses. Comapi automatically creates customer profiles from inbound messages, which include publicly-available demographics pulled from the message channel. Profiles can also be imported or manually created on an individual basis. New and existing customer profiles can be merged for a full view of engagement across multiple devices and channels. All conversations with a customer, through any channel, can be viewed in a single message timeline. Comapi also generates channel reports to track send, delivery, and engagement, enables real-time and historical chat reporting, and allows users to view all message data from each channel. The software allows us to have a seamless interaction with our customers and also allowed us to transfer across from our previous online chat facility to deliver, one interface for our staff to engage with clients. the user interface is really simple to use and is easy to train staff on. The cut over from Dynmark to Comapi couldn't have been simpler and the support we received from the team allow for a very smooth transition. the user interface is really simple to use and is easy to train staff on. The cut over from Dynmark to Comapi couldn't have been simpler and the support we received from the team allow for a very smooth transition. currently the software meets our requirements but the improved integration with Whatsapp would significantly improve our engagement with our customers. Enterprise: contact Comapi for pricing information. Comapi’s chat supports unlimited agents, multiple teams, and automatic chat routing, enabling instant response to customer requests from any channel. Multiple teams can be created with different roles and permissions, and conversations can be directed to the correct team or member for resolution. The chat widget can be customized with different colors and agent pictures to match company styles, and embedded directly into any website. Multi-channel broadcast messages can be created and previewed in the message builder, with support for buttons, pictures, audio, and video. Targeted customer lists can be created based on profile information, and messages can also be sent to the entire contact database, with the ability to stagger sending so that agents are not overwhelmed with responses. Below are some frequently asked questions for Comapi. Q. What type of pricing plans does Comapi offer? Q. Who are the typical users of Comapi? Q. What languages does Comapi support? Q. Does Comapi support mobile devices? Q. Does Comapi offer an API? Yes, Comapi has an API available for use. Q. 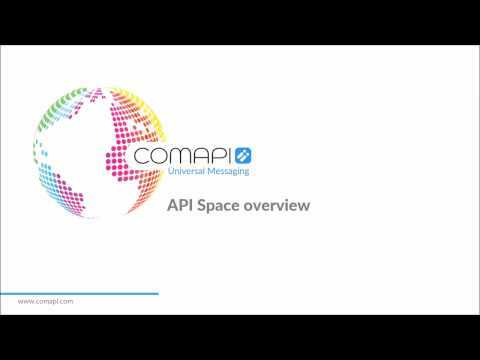 What other apps does Comapi integrate with? Q. What level of support does Comapi offer?